Sunday’s episode will be amazing—and that’s no blowing smoke!! One of the perks of being the Blog Whisperer is that I usually get to watch an episode during the week before it airs, and then I write my blog post the day after. Now, I also read the scripts while production is going on, so I kind of know what to expect, but this episode, titled "Smoke 'n' Mirrors", written by Leila Basen and directed by Grant Harvey, exceeded my expectations so much that I was whooping out loud while watching it. I will be upfront with you right now - there are at least two "Whoa! Zing!" moments that will make you not believe what you just heard. I won't give them away, but believe me, you'll know them when you watch the episode!! Now I don't want to give away too much, so I'll just touch upon the various storylines that are cleverly woven together to create this week's episode. If you haven't seen the preview for Sunday's episode, check it out here, and if you have the iOS Heartland Companion app, watch the four-minute preview now! By the way, if you're new to Heartland (Welcome aboard! We get new fans every day!) then the well edited "Previously on Heartland" segment that kicks off 715 will get you nicely caught up. Now Georgie has been excited by the prospect of trick riding... but we all know her to be somewhat impatient, and that impatience causes her to do something she shouldn't have done. And who else should show up in this episode but Dan Hartfield, who used to be married to Lisa. His reason for showing up is valid enough... but you could say he overstays his welcome. In this episode there's a theme of growing up and growing older and the title "Smoke 'n' Mirrors" is the name of Tim's new horse, one he purchased to replace his own trusty horse, which he has never given a name to. Long-time readers of the Blog will remember that way back in August of last year I had a little time-killer contest to choose the name of Tim's Horse, and then in November I revealed the name of the horse and the lucky Heartland fan who named it. This is the episode we will finally see Tim actually say the name of his horse... and I have to say it's very, very, very cool that a Heartlander picked the name. For everyone wondering when the episode airs that when the name of Tim's horse is revealed... this is that episode. I hope you're as excited about this as I am!!!!! As always, there's a lot going on. Lots will be revealed and lessons will be learned this Sunday, March 23 at 7:00pm (7:30pm in Newfoundland) across Canada on CBC-TV. I've included some great photos from Smoke 'n' Mirrors for you to enjoy down below. In the top photo Amy is riding Tim's old horse. 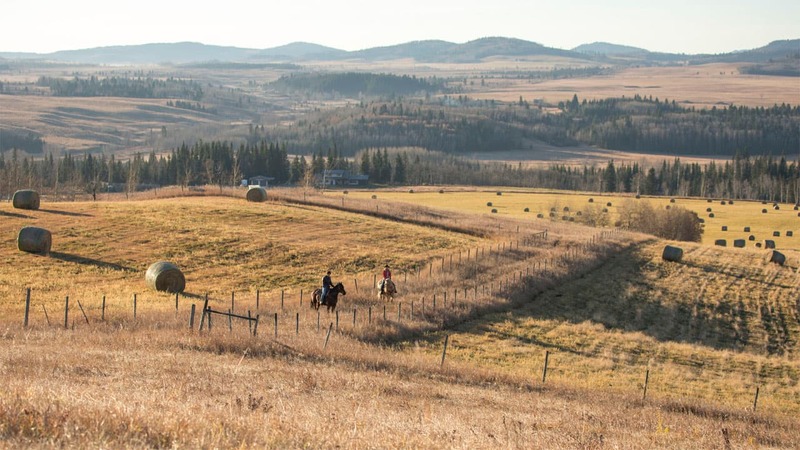 This episode has four guest stars we've all seen before on Heartland: Matt Cooke, who plays Dan Hartfield, Kaitlyn Leeb, who plays Cassandra, Kate Ross, who plays Sandra (Georgie's trick-riding trainer) and of course the ever present character know as the landscape of Alberta. Filmed with authority under the keen eye of Director of Photography Craig Wrobleski, the scenery is as beautiful as ever. Speaking of very cool, I hear that fans of the Heartland Companion App are loving it. There are extras, interviews, trivia, things you may not know even if you are a devoted fan of the series, and very cool prizes to be won. One of the coolest aspects are the video clips that play during commercial breaks, which include even more scenes from the show, which makes it an extended episode for app users, plus cool behind-the-scenes videos... like this week, there's a great set tour by Graham Wardle! So if you haven't used it yet and you want to try, this is how it works. Sunday night, when you're about to watch Heartland at 7pm on CBC on your TV set, use your computer or your phone or your tablet, and go to CBC.ca/Heartland/Companion... Click on the big "play" button and you'll be taken to the web version of the app. I've heard it's best to use a browser like Chrome or Safari for best results. And, if you have an iOS device, you can download the app for free on the app store, and when the show starts, "sync" to the episode (the app will listen to your TV and know what episode you are watching). Pretty sweet, eh? With the iOS device, you can also pull up the episode later on your PVR or on the CBC Video player and sync to that version of the episode as well! 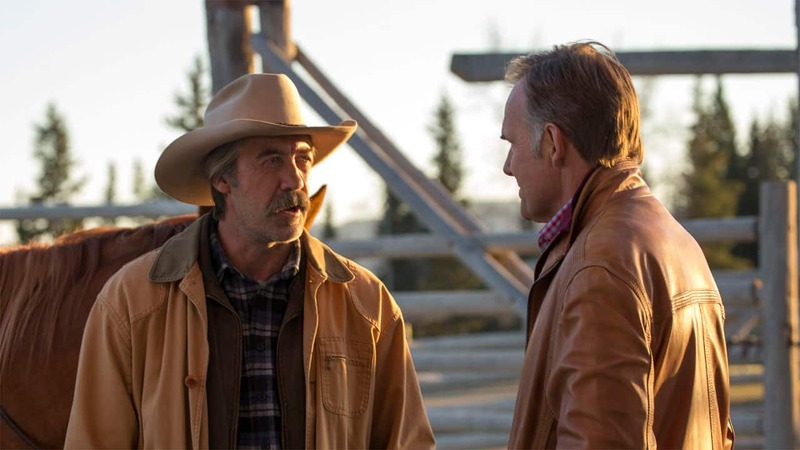 So that's it about this Sunday's new episode, but I do want to remind everyone that we are in a very cool holding pattern, for the following three Sundays will all have new Heartland episodes on CBC-TV, as Season 7 continues. That's nothing but good news, no? Now, I'm sure a lot of you are aware of this, but did you know that Amber Marshall has her own Life & Style magazine? It's filled with lots of engaging and interesting content and has lots of glossy photos. Her current issue features an in-depth, four page interview with Michelle Morgan (Heartland's Lou Fleming). You can purchase Amber's magazine on her website at http://ambermarshall.com. Click on Store, and then on Magazine. 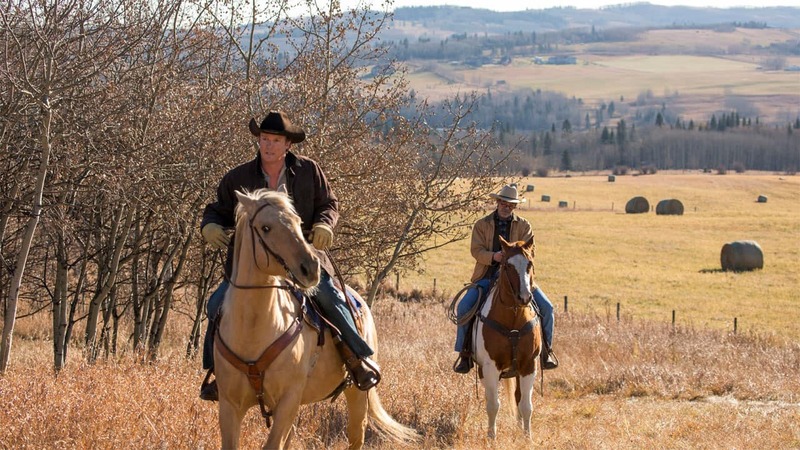 So, that's all I have for you Heartlanders today, other than to once again remind you to watch this Sunday's new episode of Heartland Season 7. Miss it at your own peril (Was that a little too dramatic)? Anyway after reading my plug and guarantee I am pretty sure you'll be tuning in Sunday night watching it with me. Yeah, it's worth a third look... honest! I'll be back with a new blog next Thursday. Until then I remain, as always, obediently yours. Can you believe it? 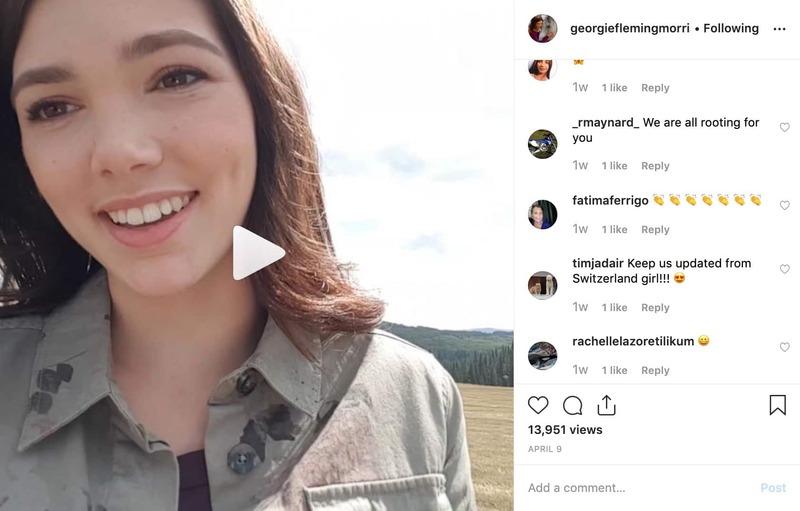 Georgie (played by Alisha Newton) has been on Instagram since 2015! Here's a fun Throwback Thursday for you! We've compiled a bunch of images from different seasons, but we aren't telling you which seasons or episodes. Can you guess? 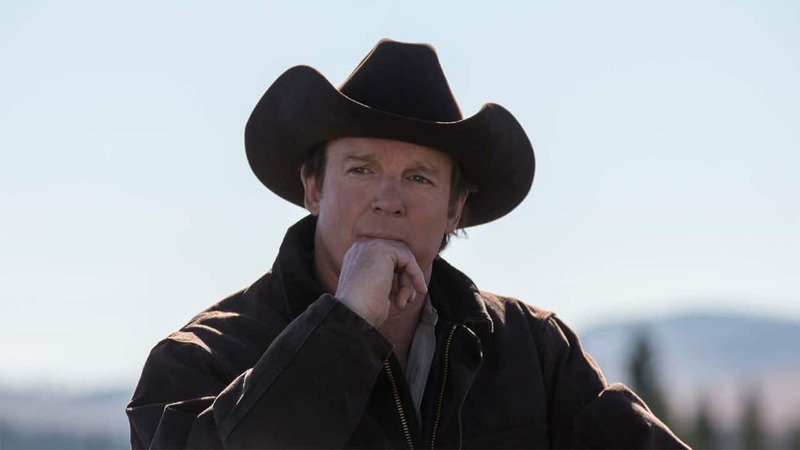 When Jack finds out Will Vernon’s wild horses are in danger, the family rallies behind him to bring them home.